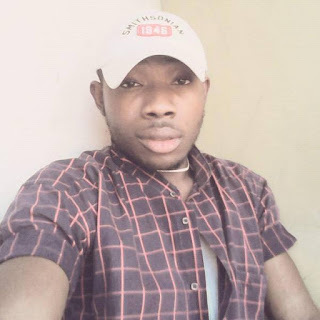 A bar attendant with Kingsbar, Precious Victor, yesterday gave a startling account of how he invited two of his friends to murder his boss, in his apartment in Anifowose area of Ikeja, Lagos, last Friday , over N63,000. The suspect, an Ordinary National Diploma holder from the Moshood Abiola University, Ogun state, was paraded alongside an alleged accomplice, Ahmed Abubakar, with a second accomplice identified simply as Kelechi, still on the run. 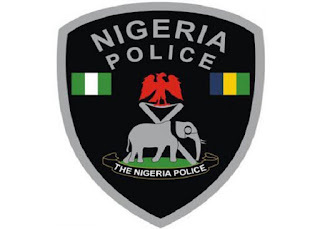 Speaking with journalists, Victor, revealed that the initial plan was not to kill his boss but to threaten him with a knife in order to get N63, 000 from him. He said “I needed N63, 000 for some personal need. So I invited my friend, Kelechi, to act as a robber by threatening my boss with a knife in his apartment. On the fateful day, I went with him but stayed by the door. Then all of a sudden, I heard the sound of a bottle being smashed on somebody inside. I went inside at that moment to find out what was happening and discovered that it was Kelechi who smashed a bottle on my boss’s head when he refused to part with some money. Policemen when my boss saw me, he called my name and asked if I wanted to kill him. He held me and bit me on stomach. I called on Kelechi to rescue me. Kelechi tried to drag me out of the room, but my boss bit harder, clinching his teeth to my flesh. It was at that point that Kelechi stabbed my boss twice on his stomach, thereby forcing him to release his teeth . In my confusion, I called Ahmed to drive my boss’s car out of the compound. I joined him and left my boss in the room. We drove to a hotel to plan what we would do next. Unfortunately, Ahmed. I regret my action because the plan was never to kill my boss”, he said. However, on his part, his alleged accomplice, Abubakar, denied being in the know of the plan to kill owner of the bar. Ahmed explained that he was only at the bar penultimate day to drink when Victor walked up to him and asked if he could drive. After an affirmative response, he said the keys to the car, were flung at him. But on realizing what Victor and fleeing Kelechi had done, he said he decided to return the car to the bar, only to be arrested as an accomplice. A mild drama however played, following accusation and counter accusation on who played what role. The suspects according to the Commissioner of Police, Lagos State command, Fatai Owoseni, would be charged to court, assuring that the fleeing suspect would be arrested and made to face same legal consequence. He added that the deceased’s vehicle driven away by the suspects had been recovered.